Water Damage New Jersey Company Since 1978! Coming home from work to find your basement flooded with three feet of nasty bacteria-infused water is beyond stressful. In many cases homeowners will attempt to remove the water on their own, or (yes it happens) some even turn their back to the problem hoping it will go away by some divine miracle. But let’s face it; Moses isn’t going to stretch out his staff and part your basement waters like it is the Red Sea. When this disaster happens you can only expect immediate water damage deliverance from a top water damage New Jersey company with a proven track record for responding quickly and getting the job done right. By understanding how basement floods occur and learning what kind of damage can ensue from ignoring basement flood water, you can better prepare in the event such chaos befalls your abode. There are as many causes for basement flooding as there are excuses for staying home from work. But most water damage New Jersey technicians report that pipe bursts are the main assailants for causing basements to turn into the new community swimming pool. 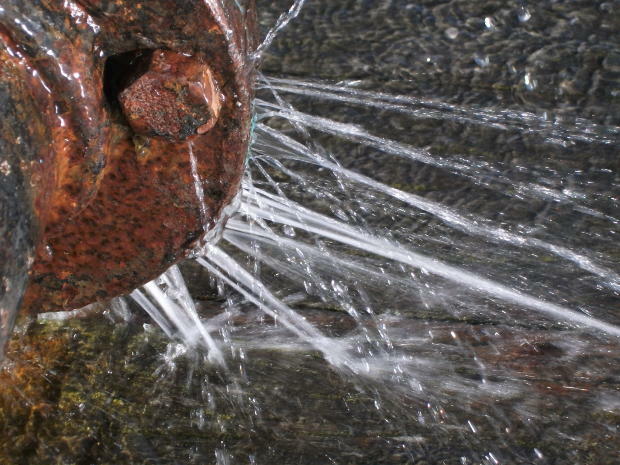 When rust builds up in pipes it can cause blockage that in turn creates pressure that results in stress cracks forming. When this happens water can spray out and flood your basement providing enough H20 for a synchronized swimming team to practice their latest moves next to your water damaged items. If hard water is present in your home it can cause mineral deposits to build up such as calcium and behave in a disastrous manner as illustrated in the rust scenario. Also, if you have an older home there is a good chance you may have clay or cast iron pipes. Over time these pipes can break up and cause disastrous basement floods. Finally, your water heater may spring a leak and expel water by the gallons. Bad weather is another common cause for basement flooding. If heavy rain pools around the base of your home and seeps into the foundation it can soak in through the walls and spring some leaks that slowly expand into a force that resembles a running faucet on full force. Even appliances can take on a mind of their own and turn on humans like the plot from a crazy B-graded sci-fi movie. In Jackson, New Jersey a drier caught fire and left fire damage and enough water damage that the entire condominium was compromised. Families were displaced and lives were interrupted because someone failed to inspect the appliance for faulty hoses and internal parts. What Kind of Damage Can a Flooded Basement Cause? A flooded basement is not an aquatic vampire that claims its prey with one bite; generally a flooded basement causes multiple types of damage. When standing water is left all day it can eat into your dry wall, damage concrete, cause wood rot and disintegrate any cardboard boxes housing your cherished items. Once water works its way in the nooks and crannies of your wood, and absorbs into your drywall, mold spores can begin to form. When you call a water damage New Jersey team to come to your home for a flooded basement emergency, it would be advantageous to ask for a free mold inspection—a complimentary service that any reputable water damage New Jersey restoration company would offer to their clients. Mold thrives in areas rich in moisture, so this is why inquiring about mold damage would be a good idea. Finally, keep in mind that the water from your pipes will mingle with any germs, viruses or bacteria that may be lingering in your basement. Dead rats in the walls, rat poison, grease, mildew, chemicals and anything else that may be present will mix with the water and take on the semblance of a cocktail so disgusting that not even Elizabeth Taylor would sip if she was alive today. When water consumes your basement, don’t try to remediate the mess on your own, and certainly don’t throw your hands up in denial and retreat to the patio for a strong drink hoping that a miracle will resolve the chaos; the problem will only worsen. Call a water damage New Jersey pro and let your problem become theirs. After all, they are the real miracle workers.